Ready For Fall And A Delicious Vegan Butternut Squash Pasta ? This is a recipe made of gluten-free, egg-free noodles. Squash, Kale and Cauliflower are now easy to find locally grown and nutritious. Butternut Squash has a sweet and nutty taste and contains vitamin A,B6,B12,D,C and also Magnesium ,Calcium and Iron. Butternut Squash owes its name to its soft texture and delicate, buttery taste. The pale yellow pumpkin with the smooth surface is a subspecies of musk squash. It contains a little more carbohydrates (8.3 grams per 100 grams) than Hokkaido, but it contains only 38 calories per 100 grams of pulp. Butternut squash contains many healthy minerals, including potassium, calcium and magnesium. These strengthen the immune system, but also ensure healthy bones and teeth. In addition, the pear-shaped pumpkin contains silicic acid, which is especially important for skin, hair and nails. Kale is the king of the healthy greens. It is loaded with beneficial compounds. Kale is powerful and also a good source of vitamin A and C.
Cauliflower is considered superfood and should strengthen the immune system. In fact, with cauliflower in your diet, you can only be on the right side. The cabbage consists of 92% water, but contains a lot of fiber and therefore saturates very long. There are also lots of vitamins in the power vegetable. How healthy is miso? Not only in Japan Miso is considered very healthy. This is partly because it provides plenty of proteins. On the other hand, traditionally produced miso also contains lactic acid bacteria and numerous other substances that have a beneficial effect on the stomach and intestines. Take care to get a soy-free miso . This is a healthy, hearty, warming and nutritious dish right for the colder time of the year. The whole family will enjoy it. Get ready to try it out. Ready For A Vegan Butternut Squash Pasta ? 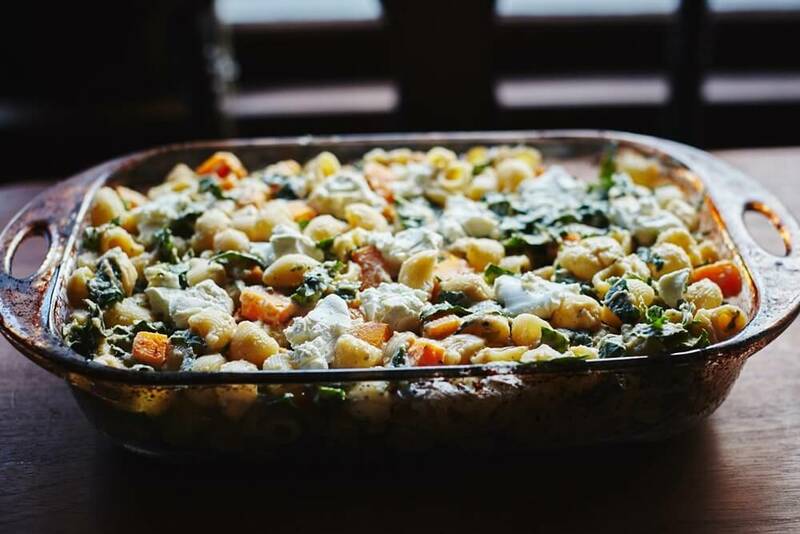 This butternut squash pasta is like an ode to cooler weather. It is packed with warming winter vegetables, including hearty squash, cruciferous cauliflower and kale. It’s also an excellent vegan meal that is rich in plant-based protein! The recipe was submitted by Becky Timbers. For nut-free butternut squash pasta, skip the cashew cheese topper and sub coconut milk beverage for the almond beverage. More recipes Are you curious what the most popular viral recipes are ?